Every single year the software industry introduces new DBMSs which allow developers to achieve goals and objectives more efficiently. However, in order to benefit from all the features provided by the modern DBMS, you should define which one is more suitable for team’s needs. Today we are going to draw a parallel between two similar products, that allow performing numerous tasks in MySQL environment. Both of them are specialized visual database design tools for MySQL databases. 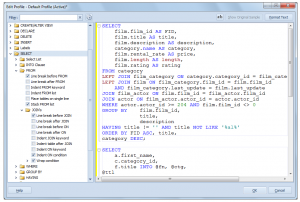 These products are MySQL Workbench 5.2.47, and it’s alternative — dbForge Studio for MySQL 6.0. Since the products are similar to each other they mainly provide the same functionality, but there is a huge difference in the performance efficiency. So, let’s have a closer look at it. 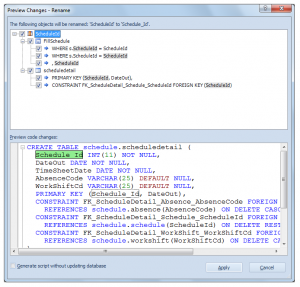 One of the most convenient features, which allows boosting SQL code writing is an automatic code completion. 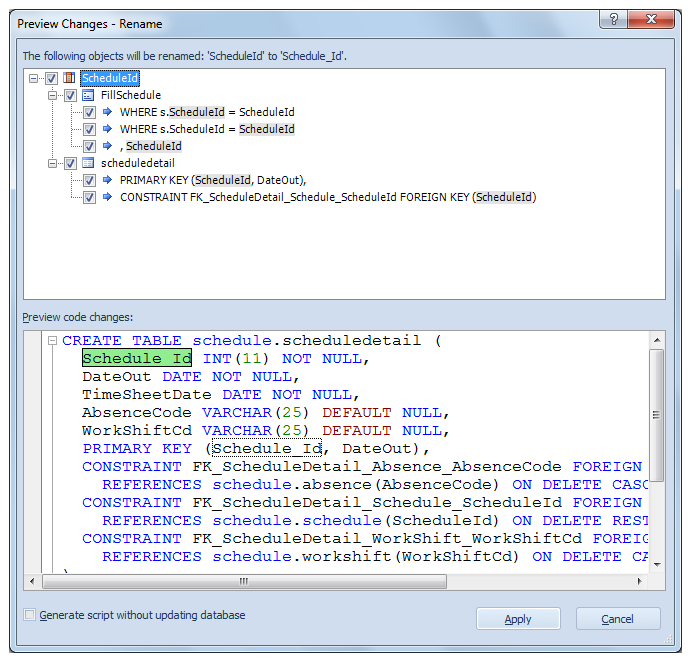 MySQL Workbench exposes prompts in a single window with the keywords, tables, views, functions, and stored procedures. 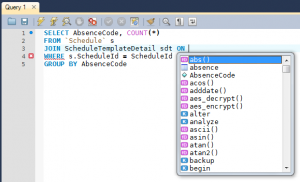 In turn, dbForge Studio for MySQL provides more intelligent code completion mechanism by showing all the database objects. 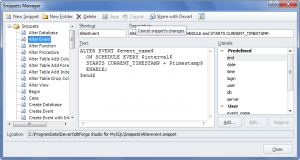 dbForge Studio for MySQL implements code parsing, and shows results based on the context. The results are filtered in the list, to avoid showing options that are not relevant or distracting. 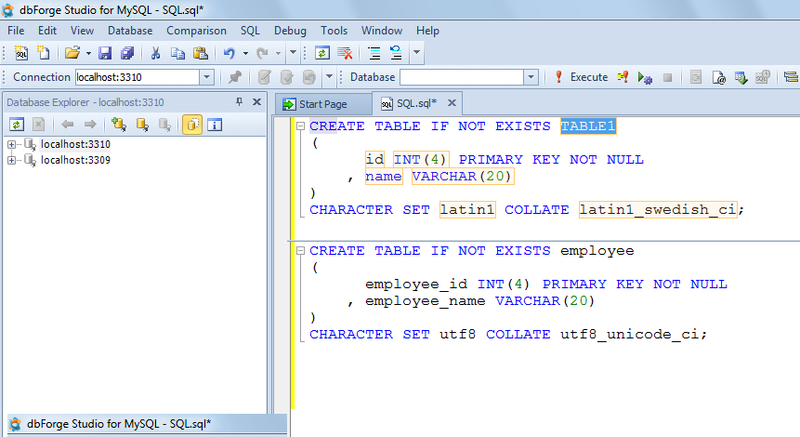 Besides, dbForge Studio for MySQL shows quick object’s info, and parameter information for stored procedures, automatically generates JOIN clauses, provides column picker feature that allows selecting multiple column suggestions from the list, and many others. Using code snippets significantly speeds up the code development process. 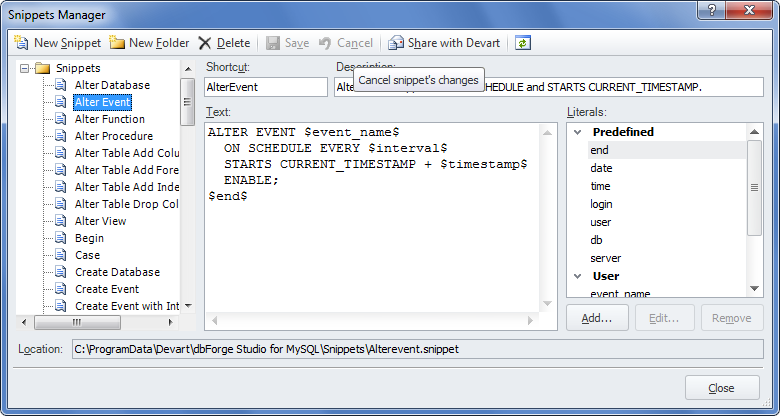 Inside dbForge Studio for MySQL code completion feature contains snippets, thus you can select a required one while coding. You are welcome to add a new snippet, or to amend an existing one using a convenient editor. Vast majority of dbForge snippets support parametrization. For instance, when you insert a code snippet in your code, replaceable parameters in the snippet are highlighted so that you can locate them more quickly. 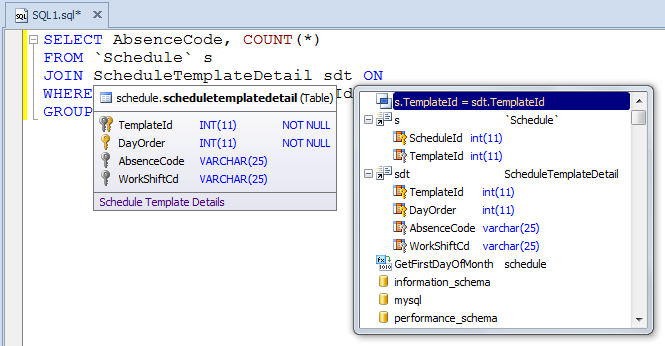 Although MySQL Workbench provides many snippets, they do not support parametrization. In most cases using snippets is far from convenient in MySQL Workbench as they are not a part of the code completion feature, and a special command needs to be used to select a snippet. One of the important rules while designing databases is to keep the code clear and well formatted, this allows reducing expenses for further code development and maintaining. However, in most cases the deadlines and requirements of the business logic make impact to the code appearance. 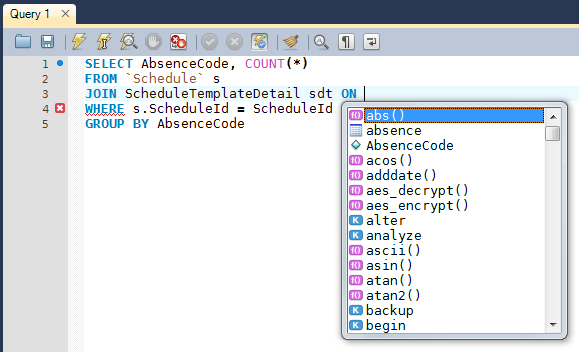 Unreadable code may lead to significant downtime while analyzing. 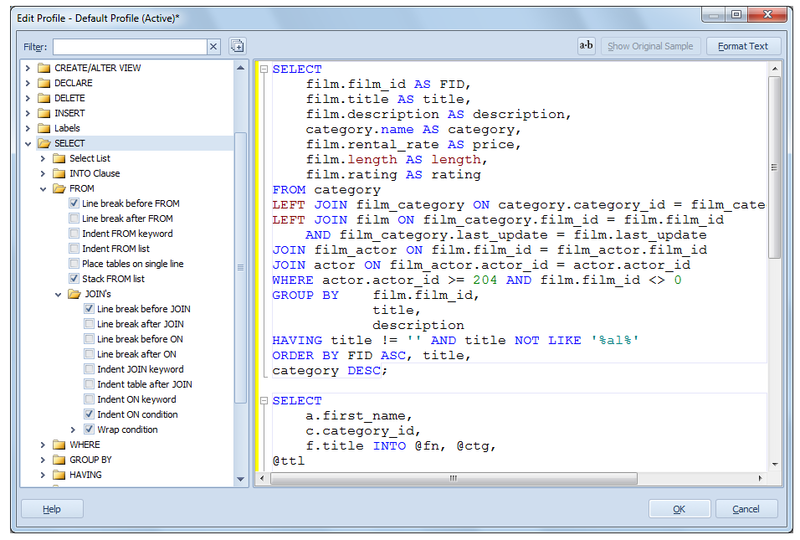 To help you match the code with your personal preferences, dbForge Studio for MySQL provides auto formatting feature with an ability to fine-tune each SQL statement. 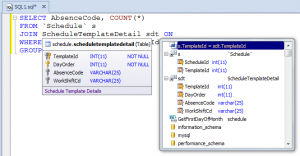 MySQL Workbench only allows to uppercase or lowercase a statement. It also provides a simple code formatting based on your own needs. This way not everyone’s taste can be satisfied. While developing a database, a developer needs to bear in mind the dependencies which exist between tables. 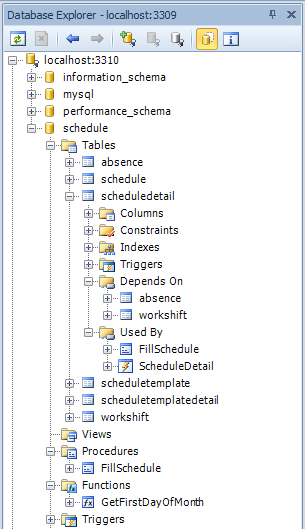 EER diagrams makes life easier and display all the dependencies between tables. Both products allows developers to create such diagrams. However, it is not too convenient to look up the required dependency on the diagram each time you need it. 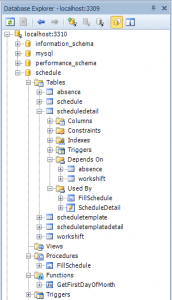 That is why dbForge Studio allows viewing dependencies directly in the objects explorer. A database schema modification is almost inevitable while refactoring a database. It is the most resource-consuming task, especially when a database is under Production. 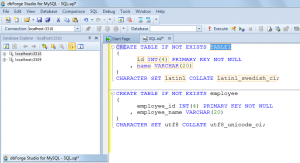 MySQL Workbench users have to change manually all the occurrences of an old table or column names while renaming database objects. 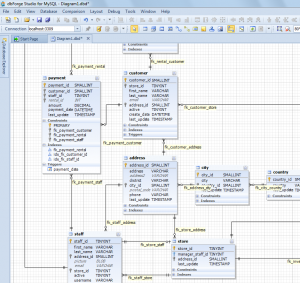 dbForge Studio for MySQL users can use refactoring features to automate this process. You are welcome to act as judges to evaluate one of the best MySQL Workbench alternatives — dbForge Studio for MySQL. You can download and try out the Professional version of dbForge Studio for MySQL for free during 30 days. 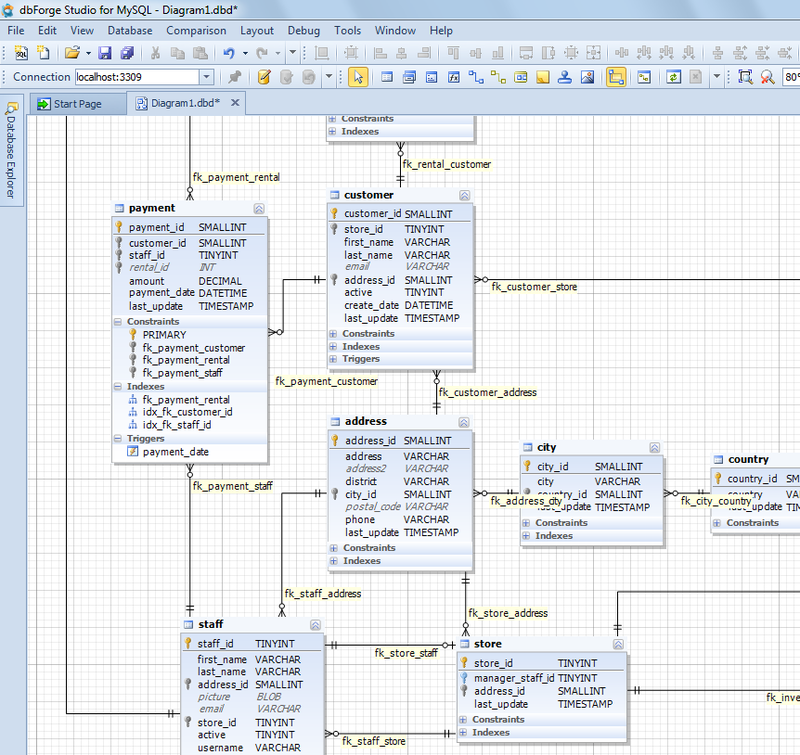 Give dbForge Studio for MySQL a try and you will use it for any task related to the MySQL DBMS. 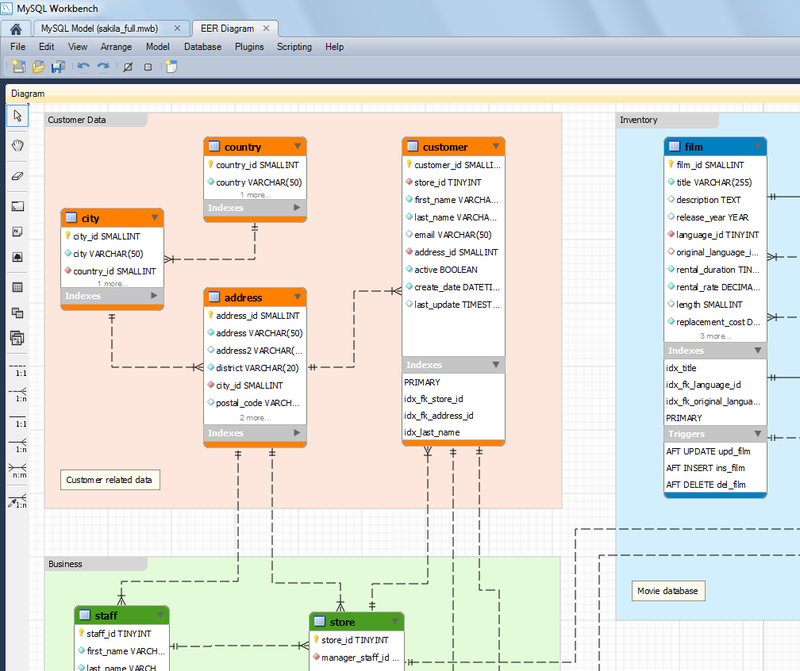 Check out the comparison of dbForge Studio for MySQL and MySQL Workbench functionalities! I’m in support of the issue of code completion in WB – it’s horrible to say the least. 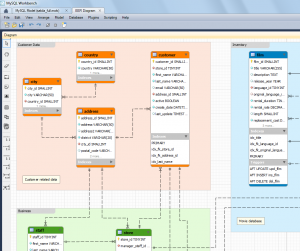 dbForge is a 1000% better then MySQL workbench and worth every penny. The interface and most other aspects are much better suited then the workbench and makes you job a lot easier. dbForge is worth a look at if you spend any amount of time working on MySQL. Though dbforge is is superior to mysql workbench, comparing a free tool with the commercial professional version is not fair at all. Compare workbench with the express version then the results will vary.